The incident took place under the jurisdiction of the Sadar Bazar police station, an official added. 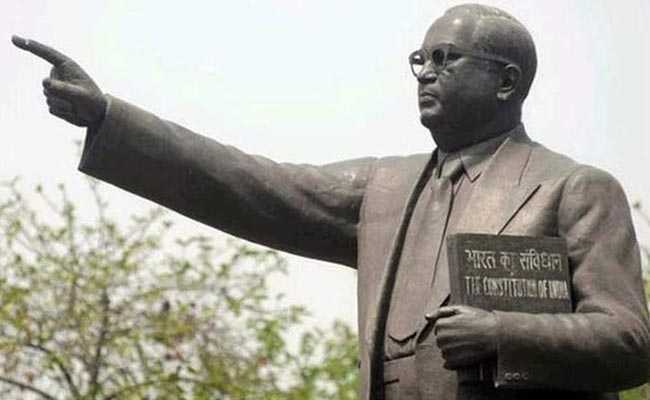 A statue of B R Ambedkar was disfigured allegedly by unidentified persons in the Ambedkar Park near the Moti Enclave colony in Mathura, an official said. The incident took place under the jurisdiction of the Sadar Bazar police station, he added. On Sunday morning, some residents of the locality found that the statue was disfigured, following which the locals gathered near the park protesting the act, Mathura Sub-Divisional Magistrate (SDM) Kranti Shekhar Singh said. The protesters were pacified after a police complaint was registered against unidentified people and arrangements were made to bring a new statue from Aligarh, he added. The situation was under control now, the SDM said, adding that however, as a precautionary measure, police personnel were deployed in the area.